Just like every other city in Italy, Milan is full of good restaurants with delicious food. Even though the city is not the official capital of the country, it is the social and the economic capital. As a result, Milan has developed so much in the last decade in many different aspects including hospitality, service, international cuisine, and tourism. Especially if you are traveling with your family, you will see those features make a great difference during your family trip. 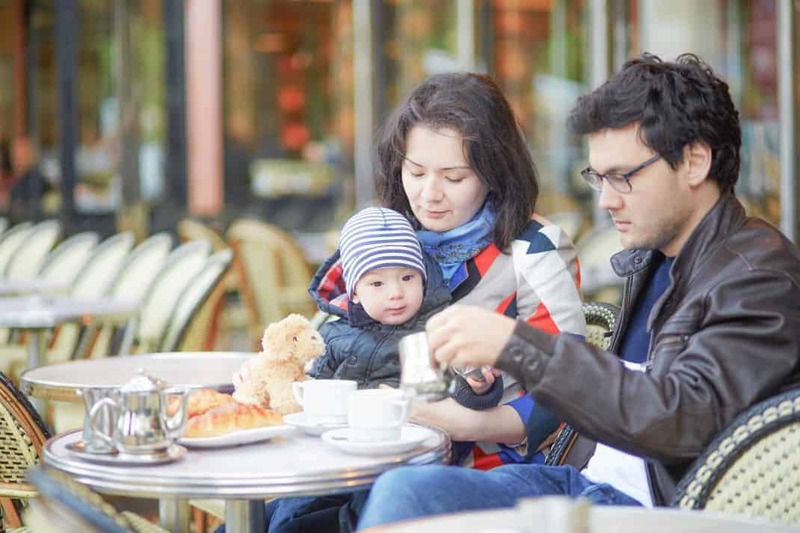 Fortunately, there are many family places to eat in Milan and we are here help you to choose. In order to spend an easygoing and a pleasing meal with your family in Milan, here are the 12 best family friendly restaurants in Milan! Traveling with the family is such an unforgettable memory – well in case you spend it without any problems. Let’s be honest, there can be some issues during the family trip particularly if you have small kids. They might have a hard time adapting to the environment, they can be picky about eating local food, they might prefer not to spend time outside but rather spend indoor places – and more of those. Happily, Milan is packed with food that all kinds of children would like. First of all, you have come to the heaven of pasta and pizza. They are always the list of favorite children dishes. Secondly, the service in Milan is more professional than other cities in Italy, so they will be more child friendly and attentive towards families. Also, in Milan the restaurants have larger spaces to accommodate big groups, this is a good thing if you are traveling with a large number of people. Either an Italian dish such as pasta or pizza -of course, it doesn’t stop there, or maybe non-Italian food; your family and children will definitely be pleased with the variety of cuisine here along with the family friendly atmosphere. Rossini is both known as a classical restaurant and a pizzeria located near Piazza Sant’Alessandro. Even though it is not on the main street, it is actually walking distance to the famous Duomo. The restaurant is very large – a good place to serve big families as well. The interior is very rustic with red bricks covering walls and ceilings. The menu is well designed to accommodate everybody’s preference including kids. For a nice dinner or lunch with your family, you can truly enjoy the tasty dishes and classy atmosphere here. Fully Booked #cena #dinner #cenaromantica #foodlovers #vino #wine #duomo #milano #milanolife #centro #benvenuti #viadeipiatti #? Grani e Braci might be one of the favorite restaurants for families with little kids. There are many reasons for that. First of all the restaurant has a playground inside and your child can play there while you can enjoy your pre or after drink. The playground itself has a babysitting service so the children are always taken care of while they are playing. Also, the menu offers a variety of dishes suitable for different diets such as gluten-free, low fat, low sugar or so. The main focus on the menu is to have organic and local ingredients as well – which is an important aspect for families with kids too. If you are looking for a different touch on fast food and non-Italian meal, Vita might save your trip. Sometimes kids are picky and they are looking exactly for what they want. Vita offers burgers and fries but they are regular ones. All burgers buns are organic and they are very colorful – not food dye they are made with vegetable extracts. Especially if you have a person who follows a gluten-free diet you’ll love it here. – all burger buns are gluten-free. Plus, the children will love both the appearance of food and taste of the food here. Piz is a very special pizzeria located a few streets away from Duomo. The small pizzeria offers only three types of pizza: Red – with tomato sauce, white – without tomato sauce and vegetarian. The décor inside is very attractive and full of different ornaments. It is very eclectic and vibrant inside. Upon your arrival, you’ll be welcomed with a free glass of Prosecco and s tasting slice of a pizza – which is always a big plus if you’re in Italy. For a quick and cozy meal, certainly, pay a visit to Piz. Situated just minutes away from Natural History Museum and Porta Venezia Station, the restaurant offers a large place for its guests. The menu is also very extensive, the staff is very welcoming and child-friendly too. If you want to have authentic Italian food with your family – especially seafood platters, Rosy e Gabriele will serve you well. It’s a rustic-like casual restaurant –also a family owned establishment. You will feel like home here. Another option for families looking for a different cuisine is Su Garden. The menu is based on Chinese, Thai and Asian dishes. If you are looking for a different taste than Italian cuisine, you will feel very comfortable here. Surprisingly they offer very good Chinese and Thai specialties here. The staff is super friendly with children – they will have plenty of space here to have fun. The dishes are also good for people who are allergic or vegetarian. If you ask for a local a place for a family friendly and casual restaurant to have your meal in central Milan, they will tell you to go to Il Tavolino. The restaurant is a long adored place among families. The staff is very nice and accommodating –also in case you have little kids. Also here you might have a complimentary drink before your meal such as Prosecco. The place is very cozy yet very elegant at the same time. Also open for lunch! Gnocco Fritto – the name of the restaurant is a typical dish from Emilia Romagna region which is basically small fried bread dough. The dish is complementary to your meal so you will get a new basket every time you finish one. The cuisine is based on Emilia Romagna cuisine as well so you will have an opportunity taste a different type of cuisine in Milano as well. They can offer high chairs and small plastic cutlery and cups if you a small kid – they are super child-friendly. When you dine in, you’ll feel like you are invited to a meal at home at Osteria del Gnocco Fritto. This place is such a fantastic place for pizza lover families. The pizza here is quite famous and well worth the popularity. Nice crust on the sides, quality toppings, and top-notch tomato sauce are the key factors. Along with a good selection of pizza, they also offer kinds of pasta – the place is very famous for its pasta alla carbonara as well. Perfect for a pizza night for families. There is also a really nice park nearby with a playground so after or before dinner you can stop by with your kids. Mr.Panozzo is a great place for families looking for a quick lunch or dinner near the main attractions. The staff is very warm and friendly here. You will be given a free slice of pizza when you are seated. The best thing about coming here as a traveler here is what you’ll see on the wall. The wall of the place is covered with notes from people coming from all over the world who ate here. Your kids can draw a painting for your family while you are eating and you can hang it on the wall before you leave. Plus, Mr. Panozzo is budget friendly, especially for large families. L’Immagine is actually a well-known place in Milan. It’s a very delightful bistro located in Quartiere Varesina. There is a reason why people love to keep coming here: Food and the staff. The bistro has mainly focused on Milanese cuisine so you can have a good Ossobucco, risotto alla Milanese, and many dishes. The service very helpful and friendly. The atmosphere is elegant yet very warm and home like at the same time. It is worth coming here from the center of Milan to spend a memorable meal with your family. Пасту и пиццу попробовали. В принципе, можно ехать дальше ? Don’t be disappointed if you are not planning to go to Southern Italy to have superb pizza. La Taverna would serve you one of the best you can have in Milan. The pizza is the star of this place. They make southern style pizza such as Pizza Napoletana. For children, there is an option to order a smaller size pizza as well – which is a rare thing in Italy as the pizza has a standard size here. They even have pizza for lactose-free or gluten-free diets to make sure that the guest can still enjoy the best pizza no matter what. Pizza time ? ? #amici #sifesteggia ? #newjob ?